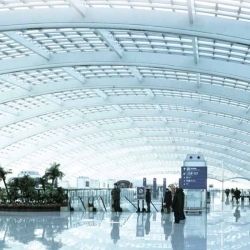 Brosteel Ultra 60 is a revolutionary new thin-film waterborne intumescent paint (click here for others) designed to provide 30 and 60 minutes fire resistance on standard, interior structural steel members. Its water-based formulation is quick drying and provides easy application - it can be applied by brush, roller or airless spray straight from the can. Once a steel surface has been primed with a suitable anti-corrosive primer, Brosteel Ultra 60 can be applied. 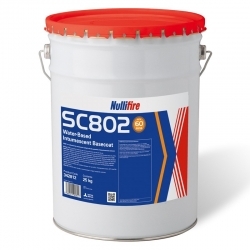 This quick drying, matt white, thin-film intumescent coating is a hugely popular fire resistant product for interior structural steel in the UK and provides 30 and 60 minutes fire resistance. Please download the product data sheets available from the 'Download' section below for full details and/or contact the Technical Department. Brosteel Ultra 60 can also be overcoated with its own range of Flameguard Ultra approved topcoats to provide a desired colour, finish and protection. Certificate of Conformance and Installation is issued with every correctly applied purchase upon request. Fully fire tested BS476:Part 20/21:1987. Can be applied with a roller, brush or airless spray. 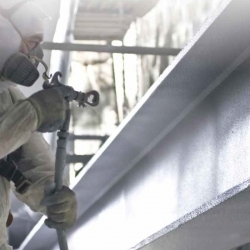 Brosteel Ultra 60 Intumescent Paint for Structural Steel has been fully fire tested BS476:Part 20/21:1987, and Installation and Conformance Certificates are supplied with every correctly applied purchase upon request. Simplicity - Simplified specification and simple application procedures. Brosteel Ultra 60 is a specialist water-based product that a competent contractor will find easy to apply. Application is by brush, roller or airless spray. Certified - Certificates of Conformance and Installation can be supplied with every purchase. 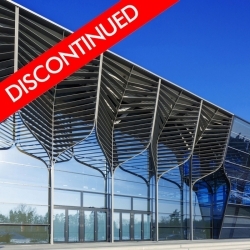 *Amount of coats and film thicknesses required may vary dependent upon the type of steel to be protected - please consult the Technical Department or Data Sheets for more information. 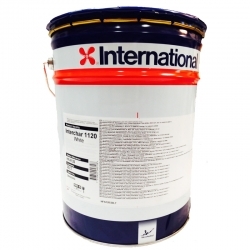 Brosteel Ultra 60 has been made with the professional painter and decorator in mind and all products are easy to apply and have been fire tested to BS476:Part 20/21:1987. Assuming all 4 sides of the steel are exposed you would have a surface area of approximately 5.5m² which would require 11 litres of Bollom Brosteel Ultra 60 to acheive 60min protection. Could you send over the NBS information for this product? There isn't currently an NBS specfication for this product so all information can be found in the data sheets downloadable from the Attachments tab on the product page. The Certifire Certificate of Approval can be downloaded from HERE. Does this product have a BBA certificate? No, it is EPA Compliant (1998) and has been fully fire tested to BS476:Part 20/21:1987 by Warrington Certification Limited part of Exova (UK) Ltd. Certifire Certificate of Approval No CF 624 a copy of which can be emailed on request. Hi do you have to apply Brosteel top coat to it or can I not just apply a deluxe paint for a top coat? Bollom Brosteel Ultra 60 must only be overcoated with one of the approved Bollom Flameguard Ultra topcoats. 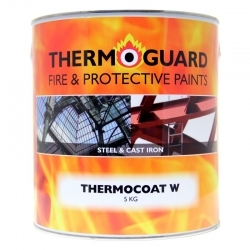 can you have a top coat fire retardant paint for steel colored ral 7001 silver grey? Yes, for example you could apply Bollom Brosteel Ultra 60, followed by any of the Bollom Flameguard Ultra Topcoats in RAL 7001 Silver Grey. We're having trouble spraying this product it seems to be really solid in the bucket, any ideas.? The manufacturer advises mixing the paint before use using a plasters whisk attachment on a drill. This should break down the coating and allow it to be applied by a suitable heavy duty airless spray unit. See under Application Methods on the Technical Data Sheet available to download from the Download section on the product page. Bollom Flameguard Ultra Gloss can be ordered HERE and is available in most RAL and BS colours. Bollom Brosteel Ultra 60 would not be able to achieve 60min protection on this steel size due to the wall thickness being too thin. If you contact our Technical Department directly on 0113 2455450 or [email protected] they will be able to take some more information and advise a suitable intumescent for you. No, however you can see our 30 and 60 minute systems for timber HERE. 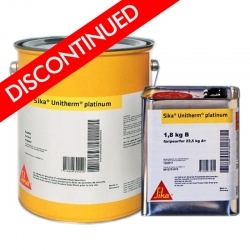 Can your paint be used on galvanised steelwork and is it necessary? Bare galvanised steel must first be prepared and primed with Zinsser Bulls Eye 1-2-3. Follow manufacturers instruction for preparation, use, overcoating times, etc. Can we paint bollams 60min intumescent paint over steel painted with red oxide ? Brosteel Ultra 60 should be applied onto clean, undamaged, dry and primed steel surfaces. 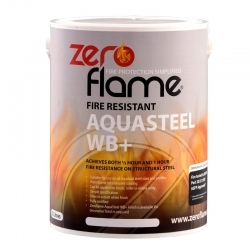 Yes, for bare mild steel/cast iron we recommend Rust-Oleum 3369/3380 CombiPrimer Anti-Corrosion and for bare galvanised steel use Zinsser Bulls Eye 1-2-3. Follow manufacturers instruction for preparation, use, overcoating times, etc. Question: can you please advise a suitable primer for bare steel under the brosteel ultra 60. Assuming adequately prepared, bare mild steel we would recommend Rust-Oleum 3369/3380 CombiPrimer Anti-Corrosion. Question: We are in process of redesigning a restaurant in basement and want to keep the steel beams exposed. We need a 60 minute paint so is this product suitable for us to use and how could be obtain the certification.? Bollom Brosteel Ultra 60 will provide 60 minute fire protection on most standard structural steel sections. It is important to check that your steel is suitable according to the information in the Brosteel Ultra 60 Brochure available to download from our 'DATASHEETS' tab on this product page. Alternatively you can contact our Technical Team and provide them with the dimensions of your steel sections and they can confirm whether they would be suitable and if so how much Brosteel you would require. You can request a Certificate of Conformance and Installation from ourselves to provide to your authority as proof of completion after applying the product. Question: Does Bollom Brosteel Ultra 60 have BBA or CE approval for protecting a steel frame in a residential new build. Neither, but it has succesfully been tested by Certifire who are an independent third party certification scheme that assures performance, quality, reliability and traceability of fire protection products. They are recognised by regulatory authorities worldwide, and is an internationally respected mark of fire safety and one of the most authoritative in the industry. I will forward you a copy of the Certificate now. Will Bollom Brosteel Ultra 60 meet UK building regulations (Part B: Fire Safety) in the UK if we want to expose steel beams in our living room? Bollom Brosteel Ultra 60 will provide 30 or 60 minute protection to structural steelwork. It is important that you check with your authority what level of fire protection is required for the steel on your project but usually for residential properties it will be 30 minute protection that is required. You can apply Bollom Brosteel Ultra 60 and then request a Certificate of Conformance and Installation from ourselves to provide to your authority as proof of completion. 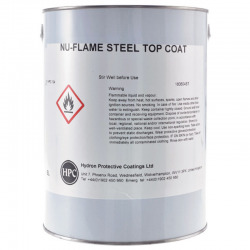 Nu-Flame Steel Top Coat is a flame retardant coating for internal and external steel and cast iron. 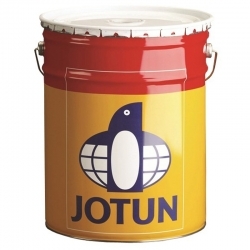 Resistant to physical damage, it is also great for use in spaces that are used frequently. Advantages For steel and cast iron. Flame retardant. Anti-corrosion coating. Extend lifespan for up to 50 years. Gloss and semi gloss finishes.